She said that Kristen is her favorite actress with Marion Cotillard, and that Twilight is one of her favorite movies. I can't wait to see her movie 'Wild' presented at Sundance in January. 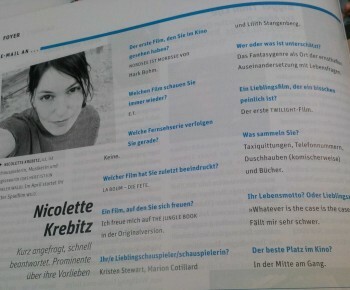 Thanks to @muses220 for the scan!